Olive oil is one of the healthiest oils we can eat. Because our Mediterranean climate is so conducive to growing olives, we have easy access to many local producers of excellent quality organic extra-virgin olive oil. Yolo Press, located in Winters, is a two-time winner of Best of Show at the Yolo County Olive Oil Competition, and was one of the very first farms to grow and produce olive oil in Yolo County. Yolo Press is owned by Mike and Dianne Madison, As a kid, Mike grew up in rural Davis and worked on farms. He studied Botany in college on the East Coast, then went on to work on the eastern slope of the Andes in Ecuador, Peru, and Columbia. Mike and Dianne later returned to Davis and, after a brief stint working in an office, Mike realized that he really preferred being outdoors working with plants. In 1986, they bought their place in Winters (22 acres) and began farming. 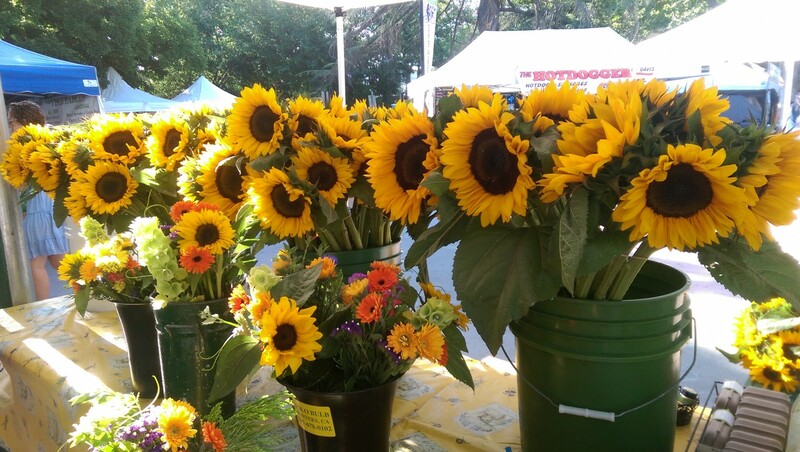 Dianne and Mike decided to start their farming venture with growing flowers for several reasons: 1) they are a high value crop, 2) no one else in the area was growing them, and 3) Mike’s father had been a flower grower. They realized fairly quickly that 4-5 acres of flowers was enough, so they started to plant other things, including olives, apricots, figs, watermelon, and cucumbers. One of the advantages to growing both olives and flowers is that their growing seasons complement one another. Olive harvest and oil production take place in November and December, a time of year when flowers are less active. Olives are also drought tolerant and have no pests. The Madisons first began to plant their olives in 1991, at a time when no one else locally was growing them. 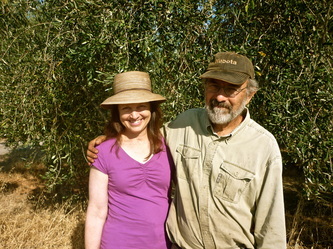 Mike and Dianne also built the first olive oil mill in the area. Their grove has grown steadily over the years as they have tried out many different olive varieties, and they now harvest their olives from 1700 trees in 16 varieties. Mike’s favorite is Taggiasca, which grows near the border of southern France and Italy, as well as in Albania. The Madisons pick their olives by hand, ensuring gentle treatment of the fruit. The olives then go directly from the grove to the mill as soon as they are harvested. Mike and Dianne have chosen to operate their farm as a biologically interesting place. They use no poisons and manage the soil in a way that is congruent with natural organisms. Their olives, apricots, and citrus are certified organic. Because their farm is on a creek, they also have a couple of acres of native riparian forest, adding to the diversity of wildlife. The name, Yolo Press, was chosen because Mike, who is also a writer, had previously had a publishing business under that name. It was easier to keep the same name than to come up with a new one, and fortunately, it fits well! Yolo Press’ specialities are their flowers, organic extra-virgin olive oil, and jam, as well as a few other foliage plants used in their bouquets, such as cedar. They also make and sell olive oil soaps, hand salves, and lip balms. It’s important to the Madisons that their skin care products are free of unwanted chemicals, so olive oil and beeswax are the primary ingredients. Yolo Press’ skin care products are recommended by local doctors for people with sensitive skin. 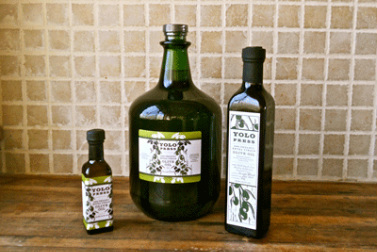 One item unique to Yolo Press is their organic extra-virgin olive oil in small 100 ml (3.4 oz.) bottles. This size makes a great gift and also fits the TSA requirement for liquid carry-on items. They carry larger bottles (100ml, 500ml, and 3 liters) of specific varietal oils (Taggiasca, Leccino, Mission) as well as blends. They also make a flavored oil from Mission olives and Yuzu fruit (a citrus), which is often only available for a short time, due to its popularity. Dark glass or metal container. Because olive oil is light sensitive, it degrades rapidly if it is packed in clear glass. Harvest date. Olive oil should be used within fifteen months of harvest. Older than that, it loses character and may become rancid. Note that bottling date and use-by date do not tell you how old the oil is. Olive variety. Just as different grape varieties produce quite different wines, so do different olive varieties produce different oils. The label should indicate which olive varieties the oil was made from. Mike Madison would like you to know that Yolo Press guarantees their items and will replace them if you are not satisfied. The Madisons can be found at both the Wednesday (Mike) and Saturday (Dianne) Davis Farmers Markets. 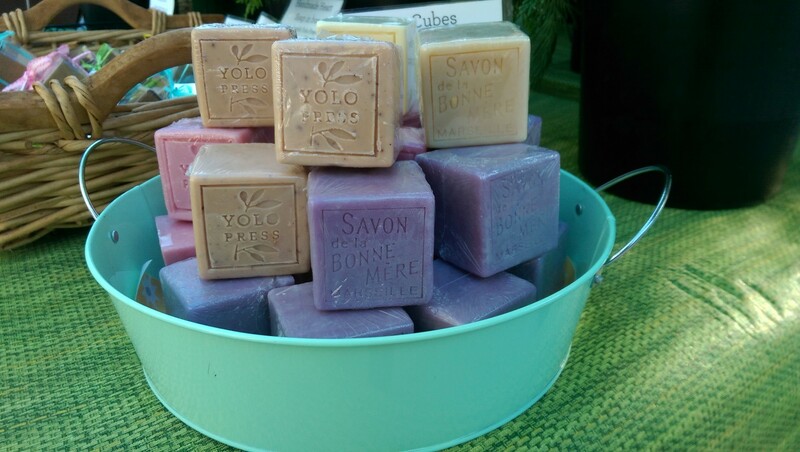 Yolo Press products are also carried at the Davis Food Co-op and Sacramento Natural Foods Co-op. Yolo Press is not open to the public.